One of Apple's most popular products is the iPod, a simple music player with hundreds of possibilities. 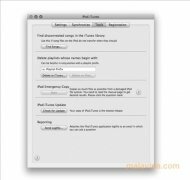 The problems that one may face when using these devices are the limitations that they have, many of which can be eliminated thanks to iPod.iTunes. 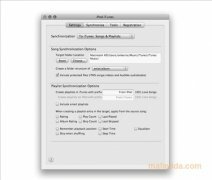 Thanks to this simple application, the synchronization options between iTunes and the player by Apple greatly improve. 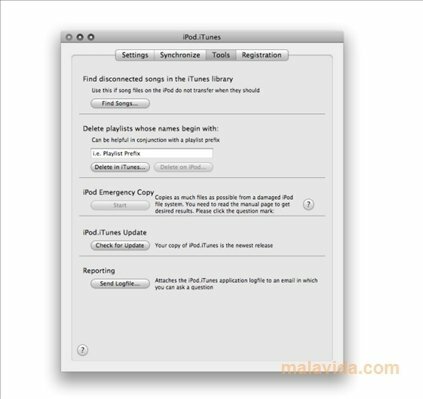 It allows you to manually select the songs that you want to share between your Mac and an iPod, use files with DRM protection, use devices formatted on Windows and create emergency backups of any player. Other practical functions of the program are the recovery of data that have been deleted recently and to clone iPods, thanks to which it is possible to maintain various devices with the same songs and videos. The interface can be somewhat confusing if you don't know all the specifications and the limitations of the iPod, so before you configure any of the program's parameters, it is advisable to previously know the effect that it will provoke on how it works. Make the most of this portable music player, thanks to iPod.iTunes. The trial version only synchronizes half the songs.